June 21st is the day when final iOS 4.0 will be released and that is the day when our wait for iOS 4.0 jailbreak and unlock will be over. As we have been saying, once the final iOS 4.0 is released, iPhone dev team will be unleashing unlock and jailbreak tools not just for iOS 4.0 but also for iPhone OS 3.1.3 Baseband 05.12.07. 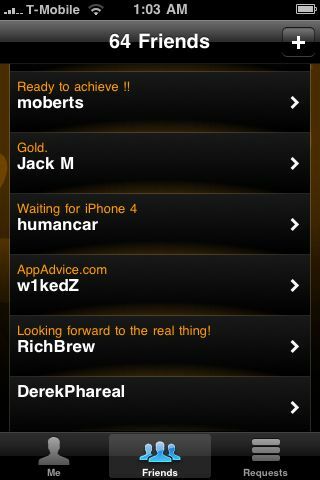 Today Muslenerd tweeted a screenshot showing off Game Center of iOS 4.0. If you closely look below screenshot you will notice iPhone having T-Mobile carrier which we all know is not official carrier and not possible unless you have either unlocked or factory unlocked iPhone. Now call this as a teaser screenshot or proof that iPhone Dev team having working exploit to unlock iOS 4.0 Baseband 05.13.04 on iPhone 3GS & 3G. So the unlock for iOS 4.0 on iPhone 3GS & 3G is imminent, it is just matter of time and soon you will be able to unlock your iPhone 3G/3GS 4.0. Check out our guide on how to jailbreak iOS 4.0 with Pwnagetool Bundle, and all about iOS 4.0 unlock. You can jailbreak iOS 4.0 with Redsn0w 0.9.5 or Pwnagetool 4.0 (unofficial). The unofficial Blacksn0w can unlock iPhone 3GS 4.0 iOS and not to forget Sn0wbreeze tool to jailbreak iPod Touch 4.0 is under development. T-Mobile on OS 4 GM doesn’t prove that BB 5.13 is unlocked, you can update to OS 4 GM while preserving your 4.26 or 5.11 baseband and then Unlock with modified Ultrasn0w/Blacksn0w. n what if he preserved his baseband just like the unofficial PwnageTool bundles available ??? Uhm, I have an iPhone 3GS with iOS 4 en T-Mobile NL. Factory locked and it works fine? So the picture says nothing if MuscleNerd is from the European area. Is he from the USA then the picture says something. can unlock iPhone 3G OS3.1.2 05.13.04 ?